If We Can You Can Challenge 2017 – THE RESULTS. 15 startup businesses from across the North East battled it out on Wednesday evening at the 2017 If We Can You Can Challenge Live Final, delivered by FIRST Face to Face alongside partners: Growth Hub North East and others, including all 5 regional Universities. 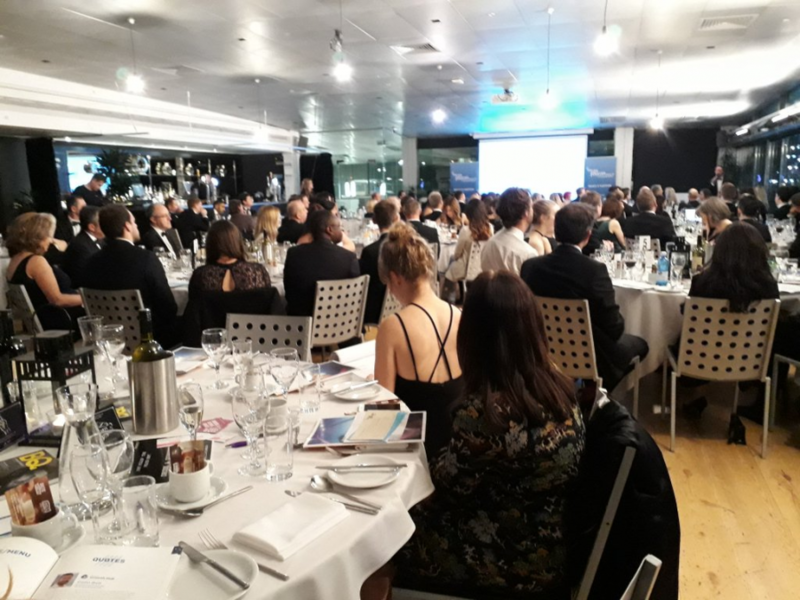 This event is a highlight in the calendar of the local business community, with over 150 people attending at BALTIC: Centre for Contemporary Art. The atmosphere was electric, with all 15 startups pitching to each table in the room. Over dinner the guests debated who they thought deserved to go through to the final round of the ‘Biggest Social Impact’ and ‘Highest Growth Potential’ categories. This year the winners were Jigsaw Recovery Project and Storage Shepherd. Jigsaw Recovery Project aim to support young people to live independently after leaving local authority care, and Storage Shepherd provide the opportunity to rent your spare space as storage for other people. By bringing together a wide range of businessmen and businesswomen in one room, the 15 startup finalists have the opportunity to impress, and ultimately improve their business through connections made on the night. With 2018 being the 10th anniversary year for the If We Can You Can Challenge, there are sure to be numerous more success stories. For any startups or businesses who wish to get involved and support this initiative, please visit www.ifwecanyoucan.co.uk or contact Owen at info@ifwecanyoucan.co.uk or 07715547148. Home › News › If We Can You Can Challenge 2017 – THE RESULTS.